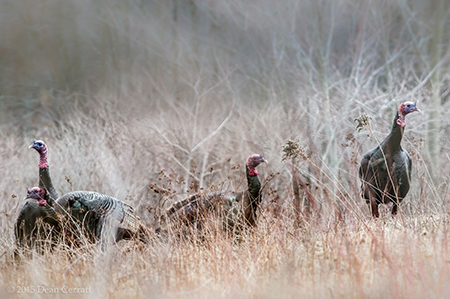 The GLT recognizes hunting as one of many recreational uses of GLT properties. Hunting is a state-sanctioned activity, which, when conducted within the confines of the applicable laws and regulations set forth by the Commonwealth of Massachusetts, serves to balance wildlife populations, provide sustenance and maintain a connection between people, the land and our renewable wildlife resources. The Grafton Land Trust, Inc. allows hunting, with written permission on many of our larger parcels, provided they fall within the limitations as outlined in the Massachusetts Fish & Wildlife Regulations and the Massachusetts Gun Law. Additionally, three properties (Potter Hill Meadows, G. Knowlton Preserve, and Rita Martin Preserve) are available to hunters without written permission under the legal guidelines established in their Massachusetts Fish & Wildlife Conservation Restrictions; Wildlife Management Area regulations apply to these three properties. If you would like to apply for a permit, complete this online form, or complete the downloadable form and submit it to Grafton Land Trust, Inc., PO Box 114, Grafton, MA 01519. Hunting permits are valid from July 1 through June 30. Direct all hunting questions to hunting@graftonland.org. All hunting permit holders must read our policy prior to hunting. See "Summary of Changes" on page 4. These policy changes went into effect on July 19, 2013. 1. We strongly recommend that you and your companion animals wear bright orange or other colorful garments when hiking, walking or riding from Monday to Saturday during hunting season. 2. By law, no hunting is allowed on any Sunday.